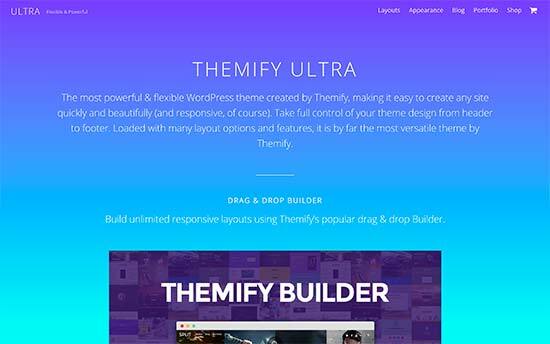 Are you looking for the best WordPress theme for your business? While there are many WordPress themes available, not all of them are suitable for business websites. 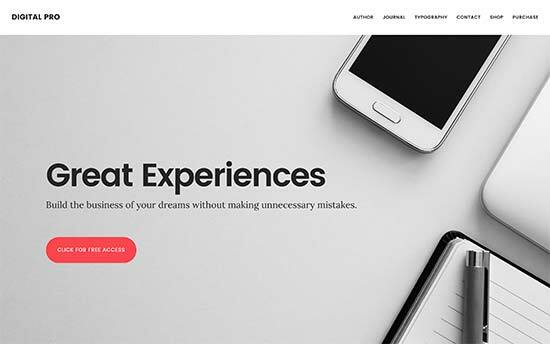 In this article, we will share the best WordPress business themes of 2019. WordPress is the most powerful platform to build your business website. This is why so many big name brands use WordPress. To build your business website with WordPress, you will need to sign up for a WordPress hosting account because all websites on the internet needs hosting. This is where all of your website files are stored. You will also need a domain name. This will be your website’s address on the internet, and this is what users will type in their browser to reach your website (example: wpbeginner.com). If you are just starting out, then we recommend using either Bluehost or SiteGround. They are one of the largest hosting companies in the world and official WordPress hosting partners. Once you have signed up for hosting, you can go on and install WordPress. We have a step by step guide on how to start a WordPress blog that help you setup and running in no time. 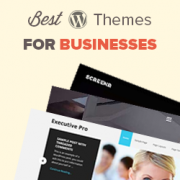 After installing WordPress, you can select a theme from our expert pick of the best WordPress business themes. Need help installing the theme? Follow the instructions in our step by step guide on how to install a WordPress theme. 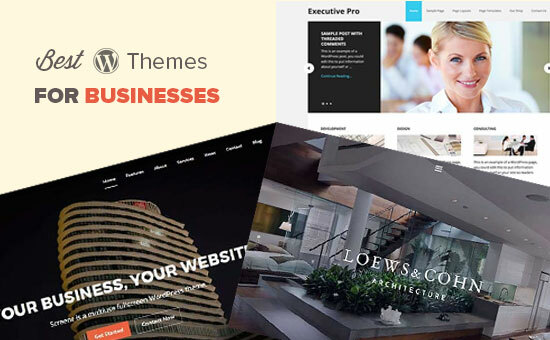 Having said that, let’s take a look at the best WordPress business themes. This list contains both free and paid WordPress themes and all of them are fully mobile responsive. Highend is a premium WordPress theme for business websites. It comes packed with features like multiple ready to use demo templates, drag and drop page builder, sliders, icon fonts, etc. 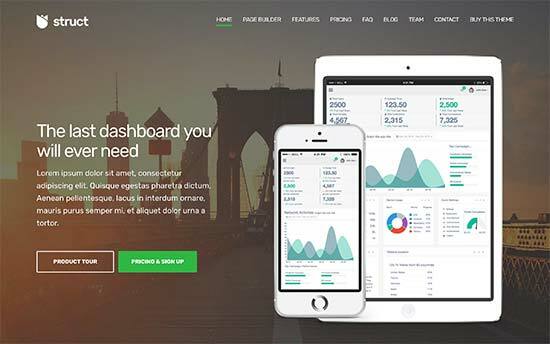 Koehn is a beautiful WordPress theme for business organizations. It comes with a beautiful drag and drop homepage with built-in content widgets. The homepage also comes with a powerful fullscreen slider. Koehn comes with sections to add your projects and team members. It also comes with custom widgets for content discovery and social media like Instagram, Flickr, Twitter, etc. 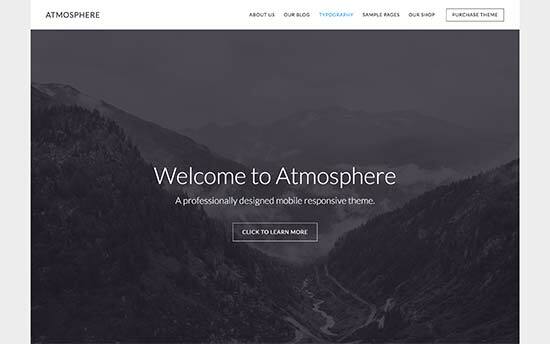 Atmosphere is a WordPress business theme built on top of Genesis theme framework. It comes with beautiful full screen header image with a call to action. Theme’s design utilizes lots of open space to create a spacious layout that looks refreshing. It uses large featured images and crisp typography. It is WooCommerce ready and optimized for speed and performance. 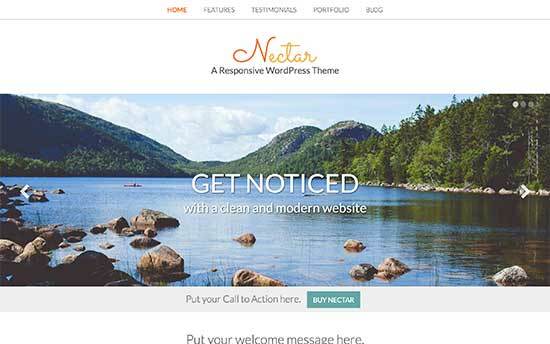 Nectar is a stylish WordPress business theme with beautiful colors and spacious layout. It features a beautiful parallax slider on the homepage which is immediately followed by a call to action. It comes with sections to add portfolio items and testimonials. It is easy to setup and comes with a custom theme options panel which allows you to just check boxes and add text to setup theme. 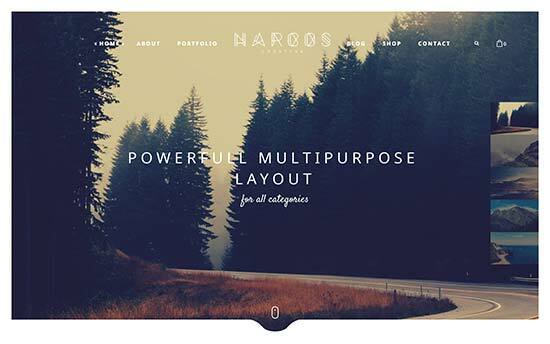 Narcos is a gorgeous WordPress business theme with tons of options. 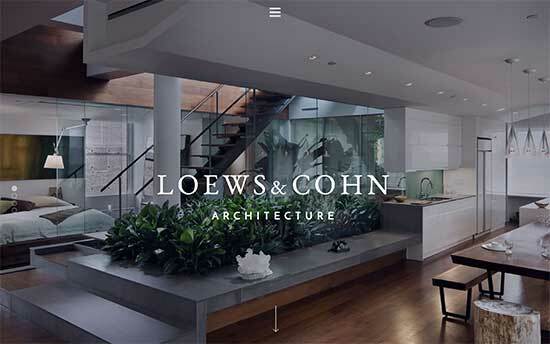 It features a beautiful large header image, parallax scrolling, and drag and drop home page. It comes with built-in sections to create portfolio, display testimonials, and add staff profiles. It has 6 homepage layouts, each with flexible customization options. Digital Pro is a modern WordPress theme for digital media companies and businesses. 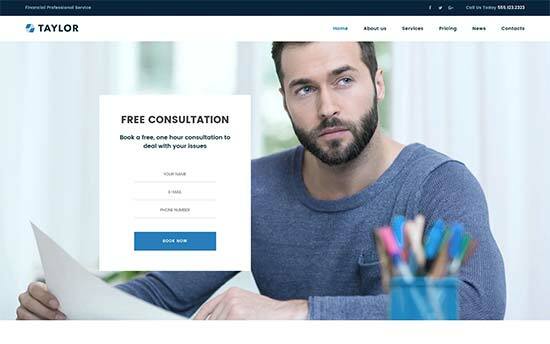 Theme’s home page features multiple widgetized areas, a large header image with call to action, and custom widgets to build your website in minutes. It comes with a themes option panel and live customizer support. It has multiple layout choices, color schemes, and fully customizable header area with custom logo support. 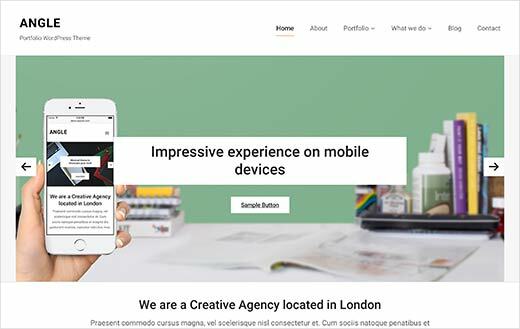 Struct is a WordPress business theme for digital agencies, start ups, and technology businesses. It comes with a fully-widgetized homepage that allows you to easily drag and drop content to build your homepage. It comes with sections to add services, projects, team, faq, guides, clients, and testimonials. It also offers unlimited color choices, multiple page templates, and easy social media integration. 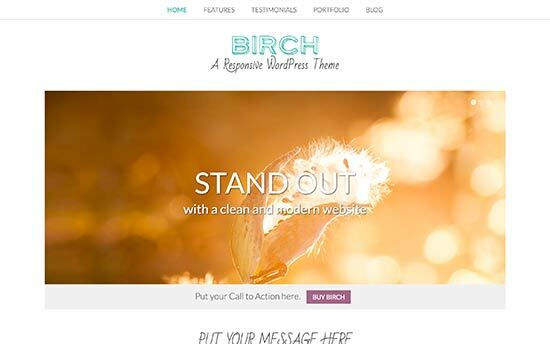 Birch is a stylish WordPress theme suitable for all kind of businesses. It comes with a beautiful parallax slider on the homepage, followed by a call to action and welcome message. It comes with portfolio and testimonials sections, custom widgets, multiple sidebars and page templates. Theme setup is easy with the help of a simple theme options panel. 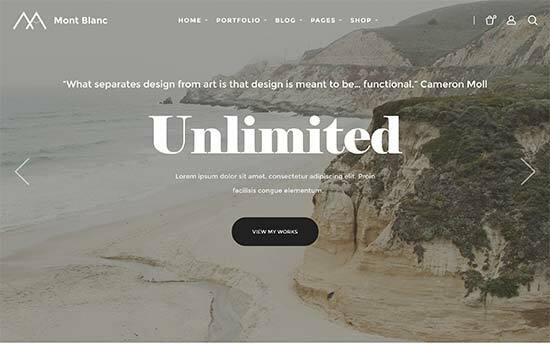 Ultra is a powerful and extremely flexible WordPress theme for businesses. It comes with dozens of ready to use templates that you can apply with a click and a drag and drop page builder to easily edit those templates. Apart from that it comes with several custom widgets, multiple content types, sidebars, page templates, navigation menus, etc. It is highly customizable without writing any kind of code. 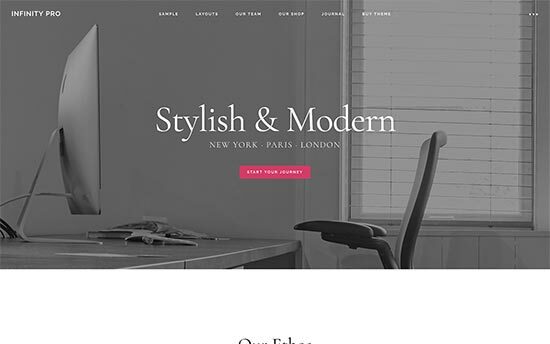 Montblanc is a beautiful multi-purpose theme suitable for business websites. It can also be used as a one page WordPress theme. It features a large full screen slider on the homepage with transparent navigation menu and logo at the top. 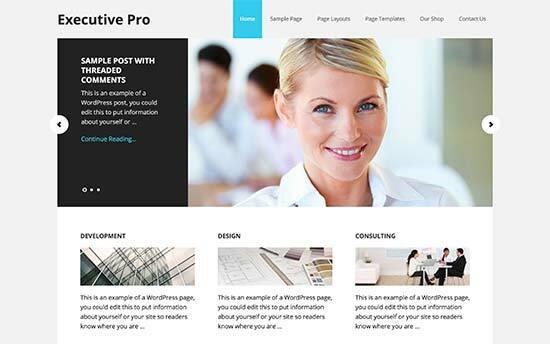 Executive Pro is a WordPress business theme with a corporate look. It is built on top of Genesis theme framework and comes with a fully widgetized homepage. It has a large slider on the homepage where you can showcase the most important pages. It comes with multiple page layouts and color schemes, prominent call to action banner, and a custom email newsletter widget. 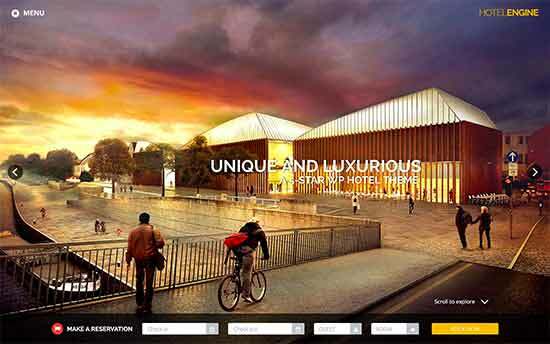 Architekt is a powerful and highly customizable WordPress business theme. It comes with multiple homepage layout, with unlimited color schemes, and an easy to use page builder. There are several built-in page layouts and a one-click demo data importer. It is easy to customize and setup and is fully compatible with WPML to create multilingual websites. 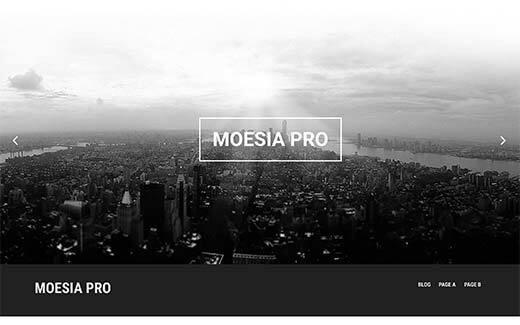 Moesia is a modern WordPress business theme. It features a large fullscreen image on the homepage with a call to action button. It comes with a drag and drop page builder with different content blocks. You can add and arrange the blocks to easily build your own homepage layout. 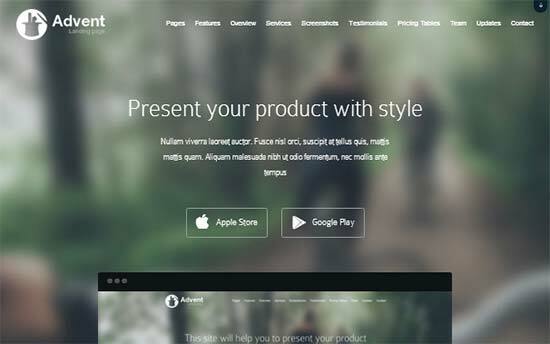 It also has slider, page templates, Google fonts, and all the features you would expect from a premium theme. 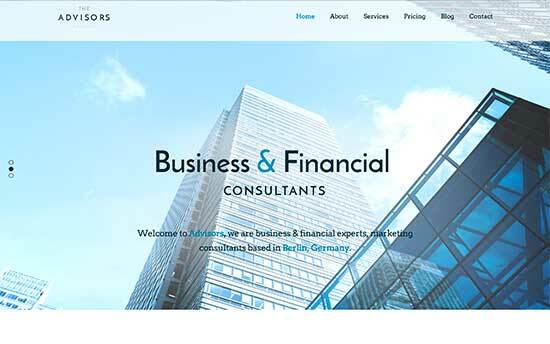 The Advisors is a modern WordPress business theme suitable for consultants and financial websites. It features a beautiful home page slider with tons of customizable options. 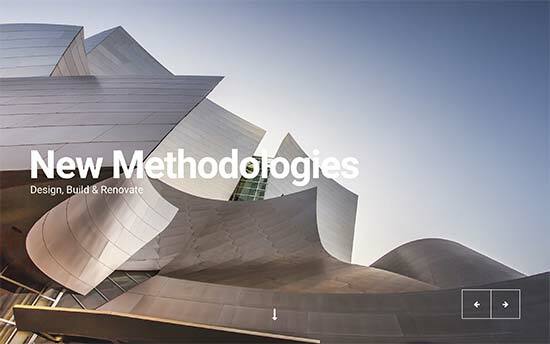 The homepage features beautiful animations, slide-in elements, and can be built using drag and drop. It comes with testimonials, services, about section, mission and vision, and contact form. 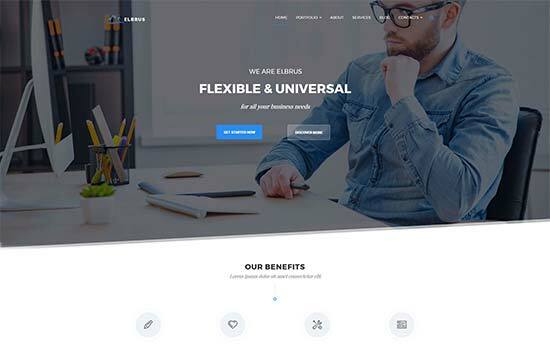 Elbrus is a multi-purpose WordPress theme for businesses. The homepage features a gorgeous slider and beautiful animations as user scrolls down. It comes with portfolio and services content types. The theme ships with page builder and slider plugins. It has multiple layout choices, different page templates, sidebars, custom widgets, and sticky navigation menu at the top. 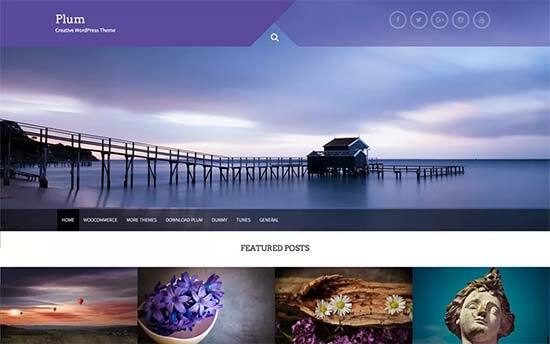 Plum is a free multi-purpose WordPress theme for business websites. It comes with a beautiful slider, CSS animations, featured content area, and custom widgets. It also supports WooCommerce and is quite easy to set up with the help of live theme customizer. 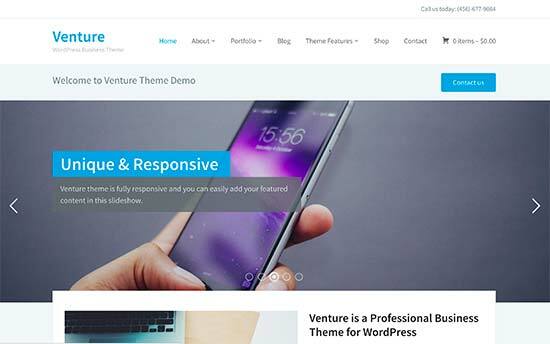 Venture is a premium WordPress business theme. It comes with a widgetized dynamic page builder which allows you to drag and drop items to create your homepage. It is also comes with full WooCommerce support so you can add an store or built an eCommerce website. It features a featured content slider on the homepage, a portfolio section, testimonials, sub-pages widget, and much more. It is fully customizable with the live preview and allows you to use your own color schemes. 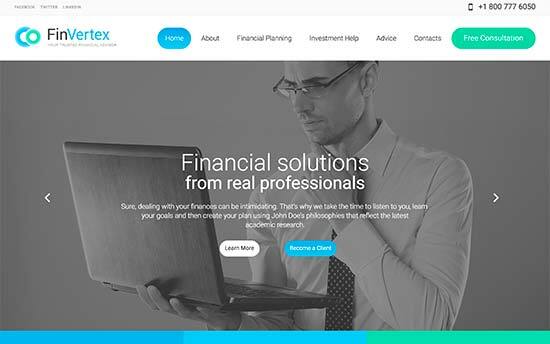 FinVertext is a very professional looking WordPress theme for financial and consultancy businesses. It features a large fullscreen slider on the homepage and comes with tons of awesome features. It has out of box support for WPML multilingual WordPress plugin. It also comes with Google Maps and Google Fonts support, contact form, newsletter signup form, beautiful sliders and photo gallery. 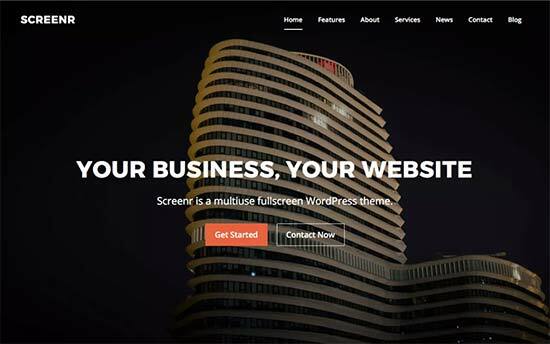 Screenr is a free WordPress theme for business websites. It comes with a beautiful fullscreen header image on the homepage followed by a widgetized homepage area. It comes with custom widgets, custom page templates, parallax background effects, and can also be used as a one-page WordPress theme. Taylor is a super-flexible WordPress theme for businesses. It comes with drag and drop page builder, content modules, and multiple layout choices. It also includes Google fonts support, custom widgets, multiple page templates, and live theme customizer support. It comes with a contact form, and a newsletter subscription form aswell. 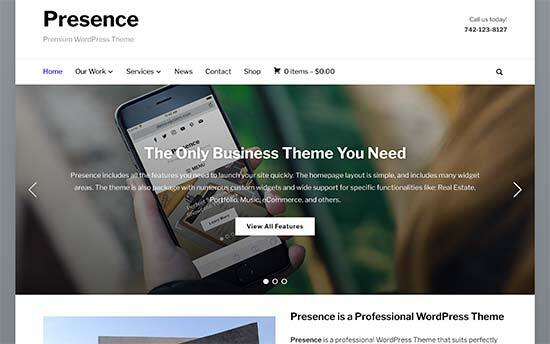 Presence is an excellent option WordPress theme for businesses. It can be used to a build real estate, business, portfolio, music, or a hotel website. This highly customizable theme comes with ready to use demos for all kind of business websites. It has built-in sections for portfolio, about, team members, and client testimonials. It also includes multiple custom widgets, unlimited page layouts, and 6 color schemes. If you are looking for a stylish WordPress business theme for WooCommerce support, then checkout Amaryllis. This beautiful WooCommerce ready themes comes with beautiful typography, elegant large header image, and gorgeous display of your products. It has widgetized homepage layout where you just need to drag and drop content widgets to get ready in minutes. Theme setup is quite easy and it also allows you to choose how you want to display items in your online store. 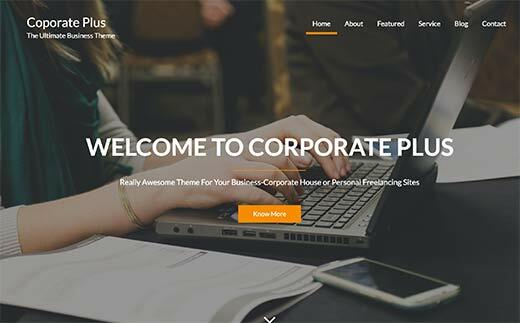 Corporate Plus is a free WordPress theme for business websites. It can be also be used as a single page theme. It comes with powerful features like slider, about section, services, parallax background support, blog section, and contact page. It is fully widgetized which makes it quite easy to setup. Roxima is a beautiful WordPress business theme with a professional corporate look. It comes with multiple layout choices, templates, and custom widgets. It has built-in about, services, portfolio, client, and team sections which can be easily added to homepage using drag and drop. It is highly optimized for speed and performance and is quite easy to setup with live theme customizer. HotelEngine Classy is a powerful and highly customizable WordPress theme for hotels, resorts, and hospitality businesses. The front page features a beautiful fullscreen slider with a booking form at the bottom of the screen. It comes with room templates, services, location, and gallery templates. It also has testimonials, custom logo, multiple color schemes, and easy to use theme options panel. 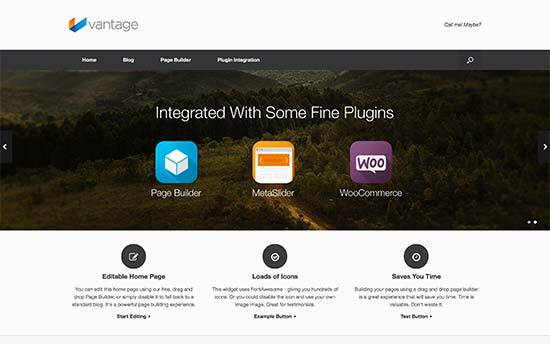 Vantage is a flexible free WordPress business theme that can be easily used to build almost any kind of website. It is easy to setup and can be used with Site Origin’s free page builder plugin, which allows you to create your own page layouts using drag and drop. Angle is a WordPress business theme with a clean professional look. It comes with a drag and drop builder, portfolio section, sliders, visual theme customizer, and multiple layout choices. Angle is optimized for speed and performance and ease of use. Its layout makes it a perfect choice for any kind of business website. 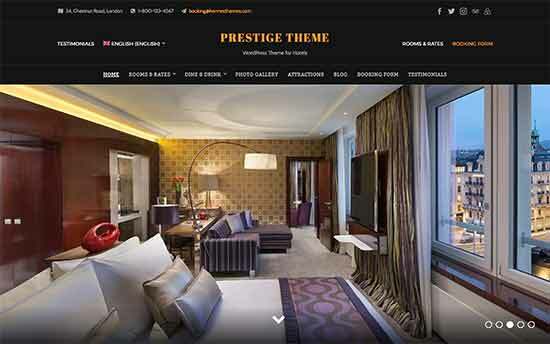 Prestige is an elegantly designed WordPress theme for hotels, motels, hospitality and travel related businesses. It allows you to easily build your homepage layout using custom widgets in live customizer. Advent is a modern WordPress business theme designed to be used as a landing page theme for apps. 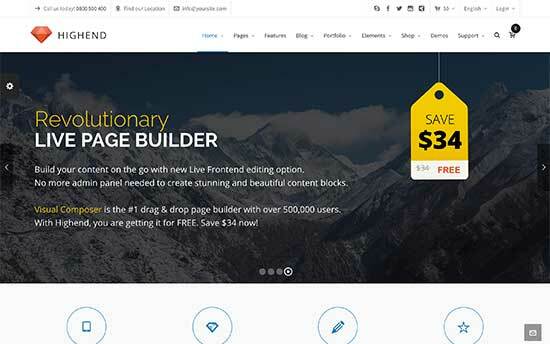 It comes with a widgetized homepage builder where you can add features, overview, about and reviews section. 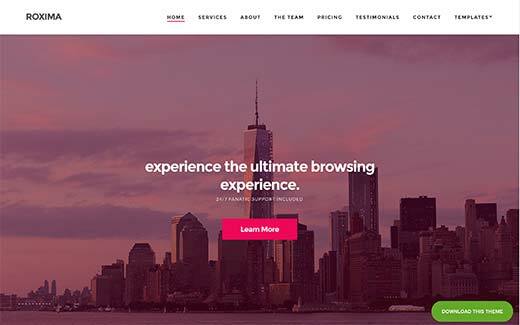 It features beautiful homepage header image, on-scroll animations, parallax backgrounds, and tons of awesome features that would make your landing page stand out. Infinity Pro is a beautifully designed WordPress theme for business websites. It is built on Genesis theme framework. It comes with full WooCommerce support and is quite easy to setup. Other features include 13 widget ready areas, widgetized homepage, custom headers, custom logo, and multiple page templates. 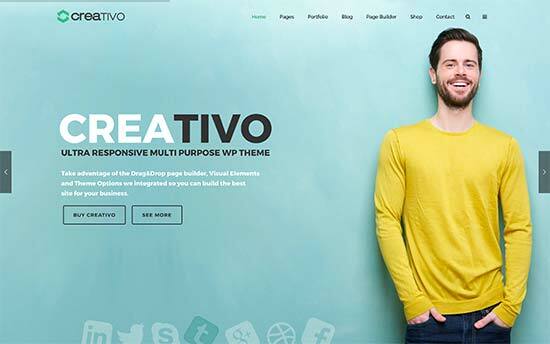 If you are looking for a creative WordPress theme for your business, then check out Creativo. It comes with 3 design layouts, 7 skins, and multiple header layouts with unlimited color choices. It comes with built-in portfolio content type and full WooCommerce support. It ships with page builder, slider, and a live chat plugin as well. We hope this article helped you find a beautiful WordPress theme for your business. You may also want to see our list of 24 must have WordPress plugins for business websites. How do you get the wpbeginner.com sidebar to look like that? Is it customized or is it a plugin that anyone can use? It is a custom theme we made specifically to use on WPBeginner. You can learn more about its design features here.